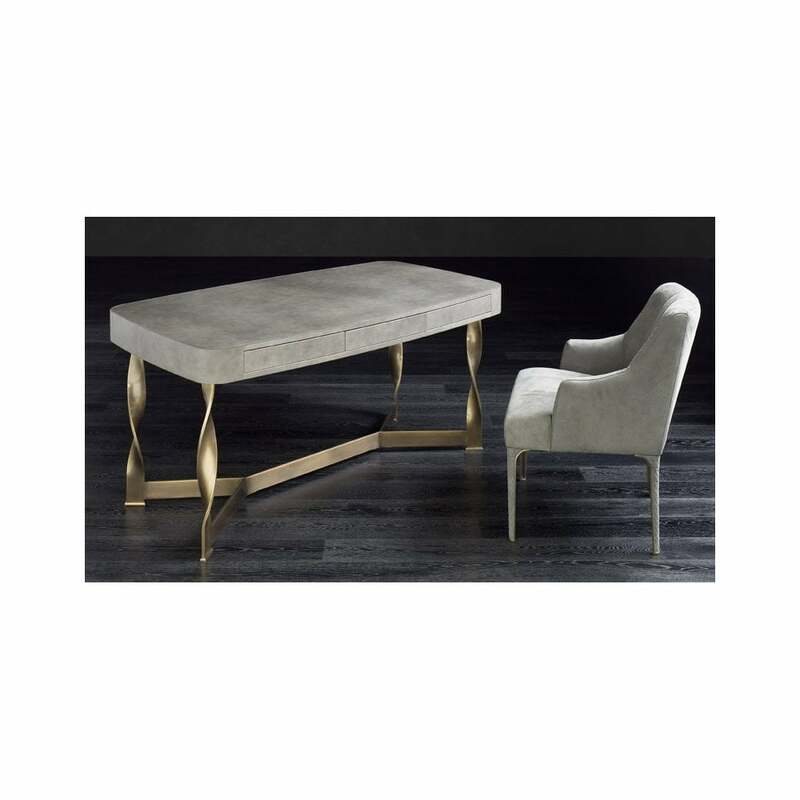 Bring luxurious Italian style to a home office or study with the Pliet Desk by Rugiano Interiors. The striking frame features a steel or bronze base that twists and turns with exquisite precision. Hand-crafted by skilled artisans in the heart of Italy’s fashion capital, the Pliet Desk interprets a new Italian style that is both modern and timeless. Choose to upholster with high-quality Pelle leather or carved from ebony wood, the rounded top works beautifully with the curved forms of the legs and base. Style with the Arianna Chair covered in a complementary material to create a glamorous office space that draws inspiration from the sumptuous interiors of the finest hotels in Italy. Available in a range of textures and finishes, get in touch with our team for bespoke options.